Great thought but that will hardly have the Israelis quaking in their boots and planning a change in strategy. JohninMK wrote: Great thought but that will hardly have the Israelis quaking in their boots and planning a change in strategy. Such a shame that your dream may never be realised. But then at least the impotence of a probably poor and small country will not be exposed. JohninMK wrote: Such a shame that your dream may never be realised. But then at least the impotence of a probably poor and small country will not be exposed. - good luck with the gold. Scotland is sick of being dictated to by London, but will leave the Britian to be dictated to by Brussels. I just find it odd. I mean I can semi understand it in the sense that we here in New Zealand wanted independence from London, but wanted to remain part of the british commonwealth... but that was mostly economic and really has no real meaning now as the EU dictates trade to us now. For instance France murders a photographer in New Zealand and then threatens us that we wont be able to trade within the EU if we don't just shut up and ignore their act of terrorism. Don't see how being a small fish in a big pond can be any better than being a small fish in a small pond. Scotland should just arrive at a compromise with Westminister on their respective differences and let it be. 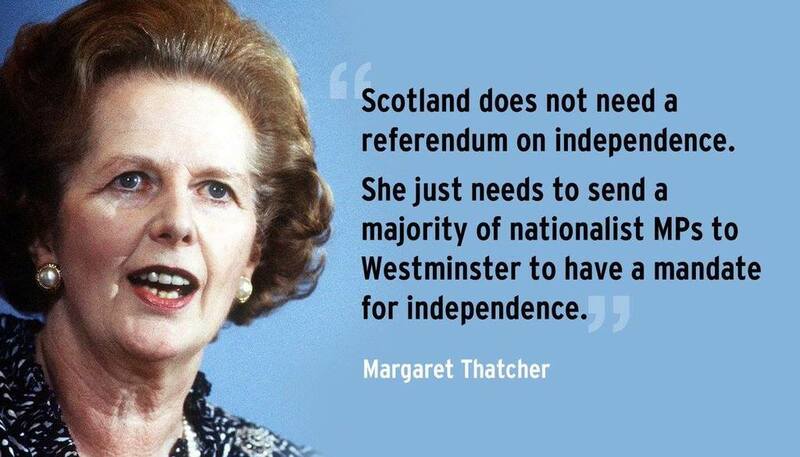 Scotland will never have everything it wants but in the long run it will certainly keep more of what it wants by being part of the UK then by becoming part of the EU and then slowly having more and more of its independence and identity eroded away in favour of a 'European' one and creeping military, political, cultural centralization. And the worst thing is that this will happen slowly and gently enough so that it doesn't build up a crucial amount of dissent and backlash (boiling the frog slowly rather than quickly), and what's more you'll eventually end up wanting all that stuff yourself - it will feel like an 'evolution' of public opinion whereas in fact what is happening is indoctrination under the influence of the media and EU-obsessed political elites. There already was a referendum 3 years ago.. and the majority of the Scottish population decided that they want to remain part of the British crown and share in its decisions. That also entails going along with its international decisions; be it wars or be it memberships of this or that economic union. On the EU the British public made a united decision and you can't claim Scotland didn't have its say. If it was a war the government wouldn't have even asked. But people knew all this and voted for staying in the UK anyway. The issue now, even after the vote in Holyrood today, is that there will be no new vote on independence until after the UK has left the EU. It is as simple as that. Even if there was the will in the UK Parliament to allow it, which there isn't, there will not be enough Parliamentary time to process it through given all the other work they will have to do surrounding Brexit. So Scotland, whether it likes it or not, and there is some debate on the subject, will be out in a couple of years. If it then votes to be independent then it can decide whether to re-apply. JohninMK wrote: The issue now, even after the vote in Holyrood today, is that there will be no new vote on independence until after the UK has left the EU. It is as simple as that. Its not that simple, Scotland is not a sovereign country, it is part of the UK and only Westminster can legally break the Union. You would have to declare some kind of unilateral declaration of independence. Anyway, would the Scottish people accept some kind of 'first past the MSP post, vote on my behalf' deal? Surely they would want their own vote, you know, a referendum? The secret is the UK islands off of Scotland, which have no appetite for SNP's, divisive, demi-Maidanut, Eurozone-oriented platform. Yup, roll on the new Crown Dependency of the Orkney and Shetland Islands. 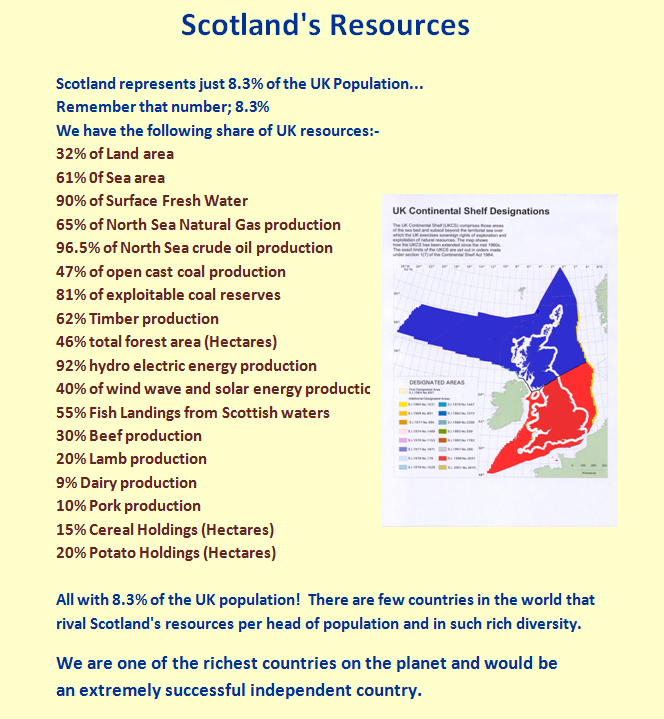 The reality is that Britain has all the power and resources it needs to keep whatever region, island, city, village or town it pleases in what is now considered as Scotland.